MOMMY AND ME: This class is for toddlers who are walking 16 months up to age 2.5. This 45 minute class includes stretching and circuits that involve gymnastics equipment and fun props. Your child will learn skills like jumping, swinging, walking on a beam, and rolling. Parent participation is required in order to help the instructor keep the children focused and on task. 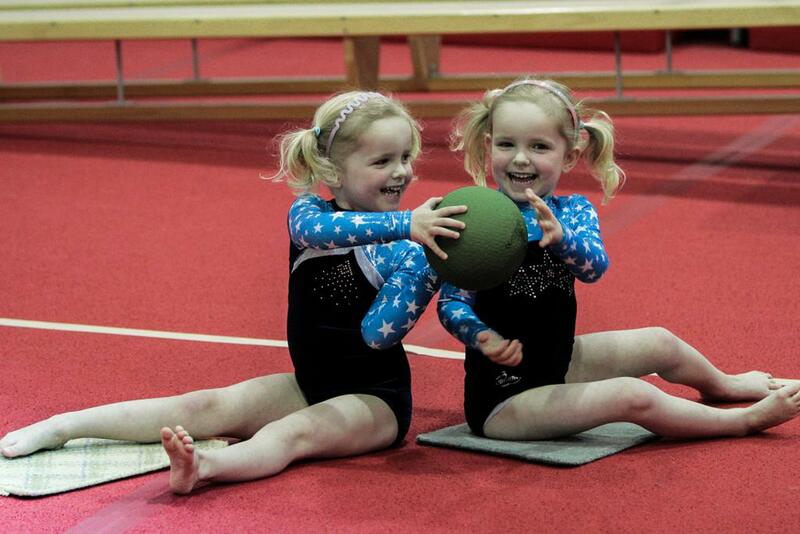 This class is a wonderful way to introduce gymnastics to your little one! PRESCHOOL CLASSES: This class is for children ages 3-5 who are potty trained. Our preschool classes are designed to teach the basic skills and terminology of gymnastics in a positive and fun atmosphere. Your child will learn skills like cartwheels, forward and backward rolls, jumping on a trampoline, swings and supports on bars. This class will help your child learn how to behave and interact in a structured class setting while improving his/her physical capabilities.